HTC Click gets pictured | Android Blast! 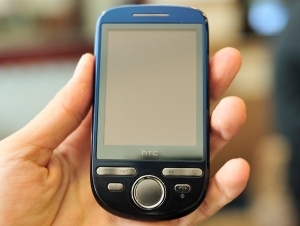 The HTC Click is supposed to bring Android in a less expensive phone. We've already heard that T-Mobile is going to be bringing the Click to the masses. Until now we haven't seen a clear picture of the HTC Click, but a Vietnamese message board posted this picture of the Click. Too bad the device is not on.